On July 12, 2008, McGee Cams lightning struck twice. 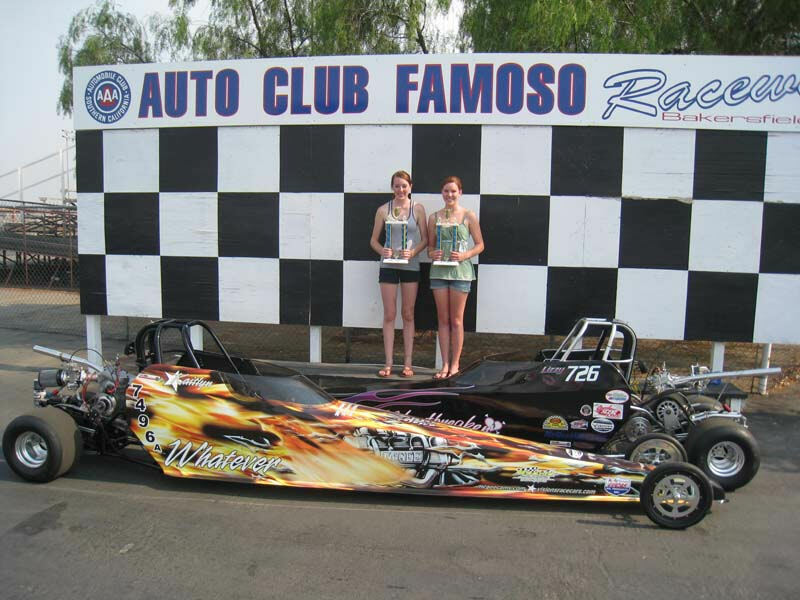 Kaitlyn McGee won Famoso's Team Race #5, and Lizzy Halley won Famoso's Team Race #6. Lizzy would go on to win the Famoso Track championship in the 13-17 year-old category in 2008. Both cars are McGee-powered Visions Race Cars.